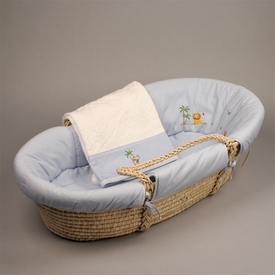 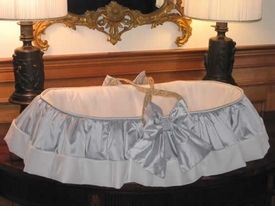 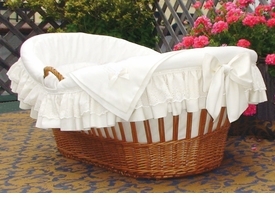 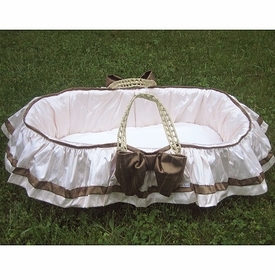 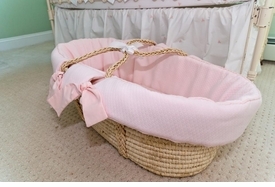 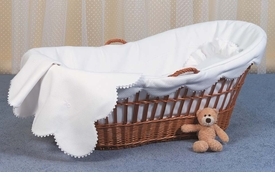 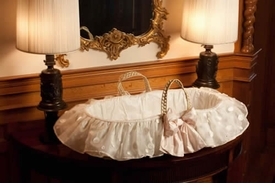 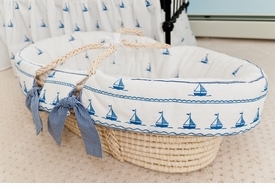 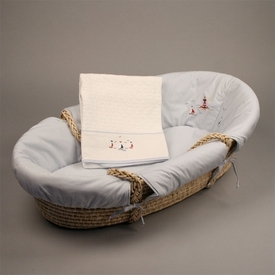 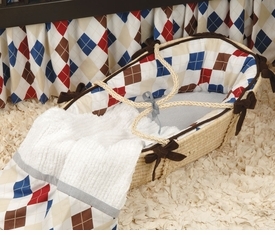 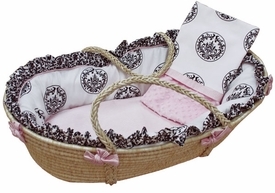 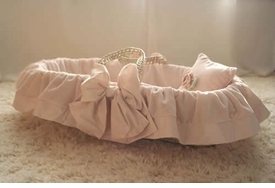 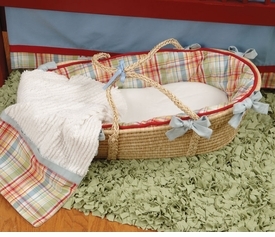 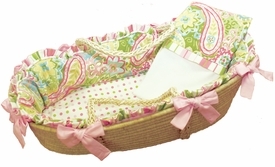 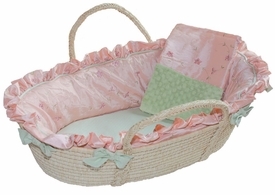 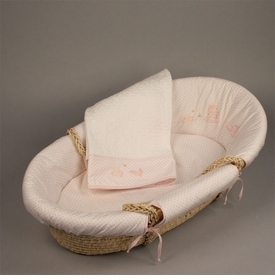 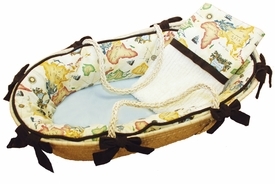 A moses basket provides a cozy safe environment for your baby to rest, even when not in the baby nursery. 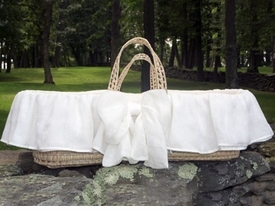 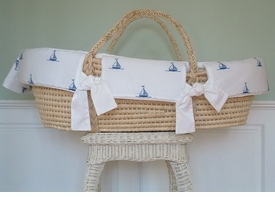 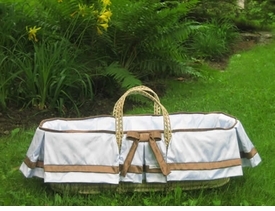 Perfect for other rooms of the house, the beach, park or just about anywhere. 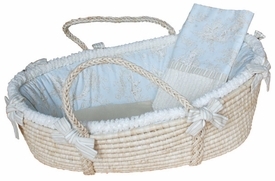 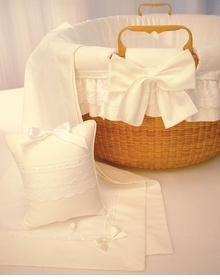 Our collection of moses baskets features compelling fabric combinations, interesting embellishments and inviting textures for baby and mom. 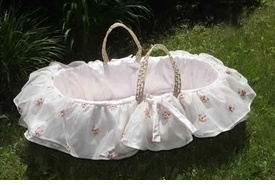 Whether you want the basket simple or frilly, pastel or print, there is a variety of designs by some of the most noted designers to choose from. 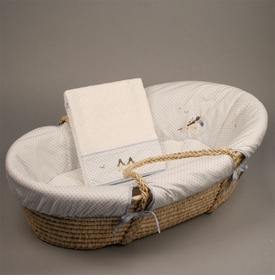 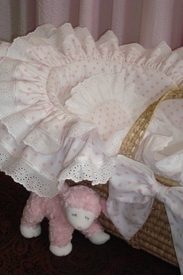 We feature baskets by Blauen, Lulla Smith, Baby Luxe, Doodlefish, Sweet William, Olena Boyko and a host of other fine designers The moses basket may be used until baby is 15 lbs. 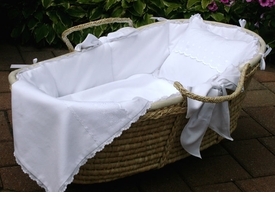 and for safety, never transport baby while in moses basket. 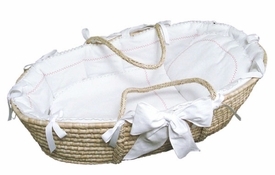 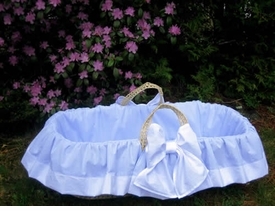 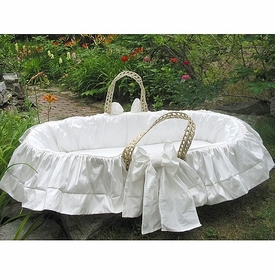 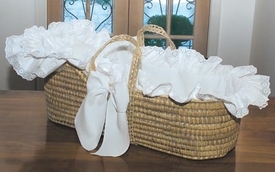 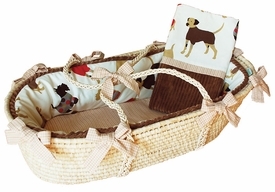 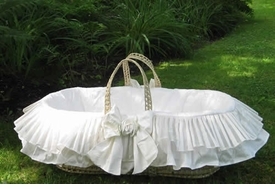 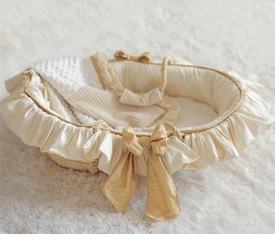 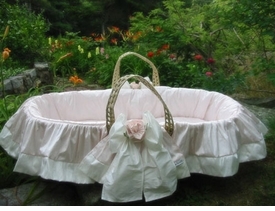 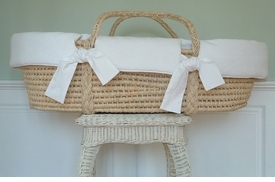 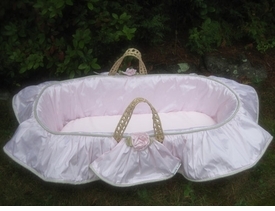 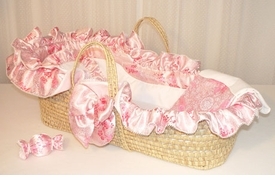 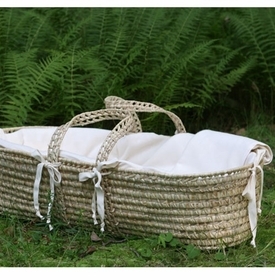 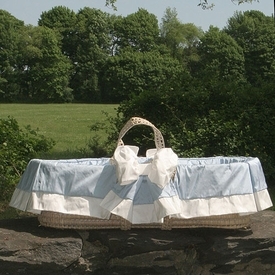 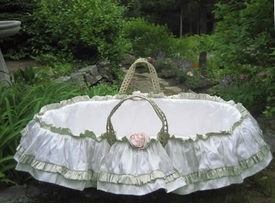 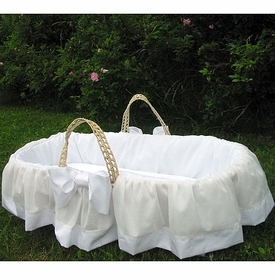 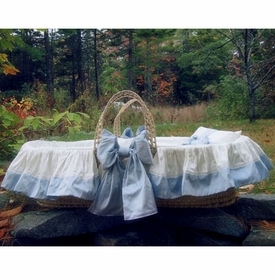 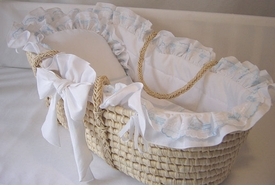 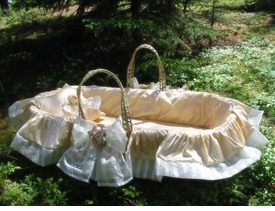 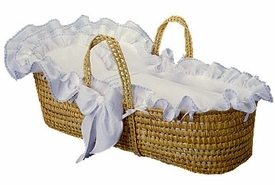 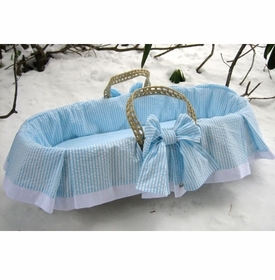 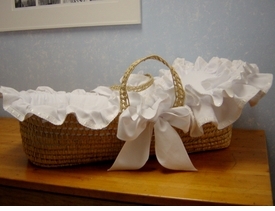 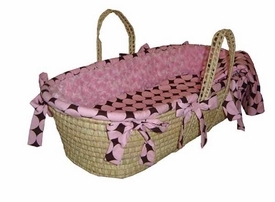 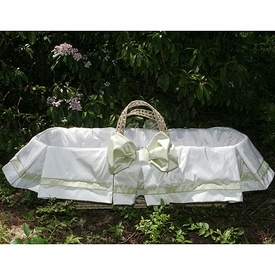 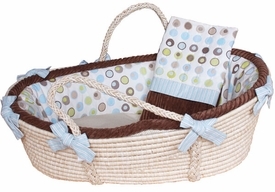 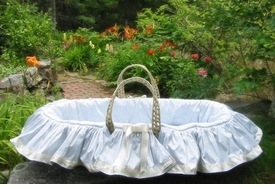 A Moses Basket is the perfect gift for a new baby.